Ever heard about a ‘petrified forest’? It’s not straight out of a fairy tale, but a real natural wonder in the United States, most of it designated as wilderness. The Petrified Forest National Park, named after the abundant concentrations of fossilized wood in the area, is perhaps one of the most intriguing tourist attractions in the arid lands of Arizona. Sitting between the Apache County and Navajo County in northeastern Arizona, the Petrified Forest National Park is about 30 miles long and its width varies from around 12 miles in the northern section, about 1 mile in a portion between the north and south, then expands to about 4 to 5 miles after this area. The fallen fossilized trees found in the park are said to have lived some 225 million years ago, during the Late Triassic period. Although it rests on the arid side of the country, the park’s ecosystem is not classified as a desert. Rather, it’s grassland, with different kinds of grass, lichens, and wildflowers to support the animals that call the park home. 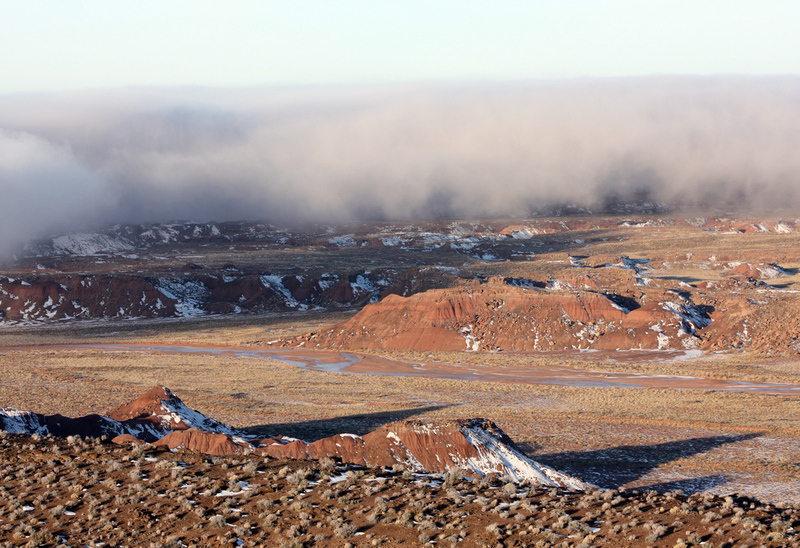 If you have an interest for natural wonders, the Petrified Forest National Park is not to be missed. The park can be reached by car from any of the nearest major airports in Arizona, Phoenix, and Albuquerque in New Mexico. Although there are no overnight lodgings or campgrounds in the park, there are some spots for visitors and tourists, such as the Rainbow Forest Museum, the Painted Desert Visitor Center, and the Painted Desert Inn (now a bookstore and historic museum).